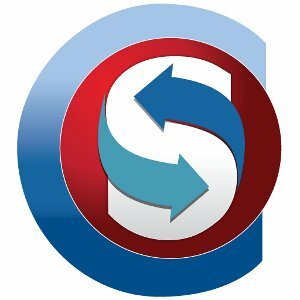 Be the first on your block to download the new ClearSync for Android application - go to your nearest Mobile Android Market to download & install it now! Any mobile smartphone or tablet type device running Android 2.2 or above. Three versions of the ClearSync Calendars & Contacts for Android (CSA) app are now available - see the Android Pricing page for more information. CSA Free: Displays ads after the 15 day "fully featured" Trial period ends without a License purchase. CSA+: For one-time fee will not display ads. CSA+ Outlook Calendars: In addition to the full CSA Calendars & Contacts app, gives you access to the ClearSync To Outlook Calendars sync utility for your Windows computer. A ClearSync Outlook, Silver, or Gold License is required after the 15 day Trial. A ClearSync Google Sync for Calendars feature has also been added at no charge for all ClearSync users. Support for syncing both Google Gmail Contacts & Outlook Contacts will be added soon -- send us Support Request to be notified when the Beta test versions become available. Two versions of the app are now available -- the Free app, which displays ads after the 15 day "fully featured" Trial period ends without a License purchase, and the "+" app which can be purchased for a one-time fee and does not display ads. See the Android Pricing page for more information. Fixed a Month View crash bug in the "+" version. Fixed an event conflict handling problem that generated duplicate records in some situations. Resolved an issue with large datasets that caused occasional <Force Close> application crashes. Updated the Android Market application compatibility listing to exclude access by devices running Android 2.1 or earlier. Fixed a rare problem whereby one or more event instances in a recurring event string would sometimes "disappear" when one event in the string has been edited but would then re-appear after a Sync. Untimed Events now display properly in proportional Day & Week Views. Better touch response for opening the Event Editor. Improved support for tablets and larger smartphone screen sizes. Account License types linked with updated features list available at each License level. Enhanced SSL Security for Accounts with Gold Licenses. Updated the "in app" Tutorial. Fixed display of the "small" fontsize for some devices. Addressed an issue with improper Account management re-authentication with the Android system.